Opus and Klitschko Ventures have decided to enter a partnership and work together. An exclusive interview between Opus and Klitschko. Having discovered how both of our organizations complement each other well, we would like to share the story of why we have decided to join forces and collaboration. 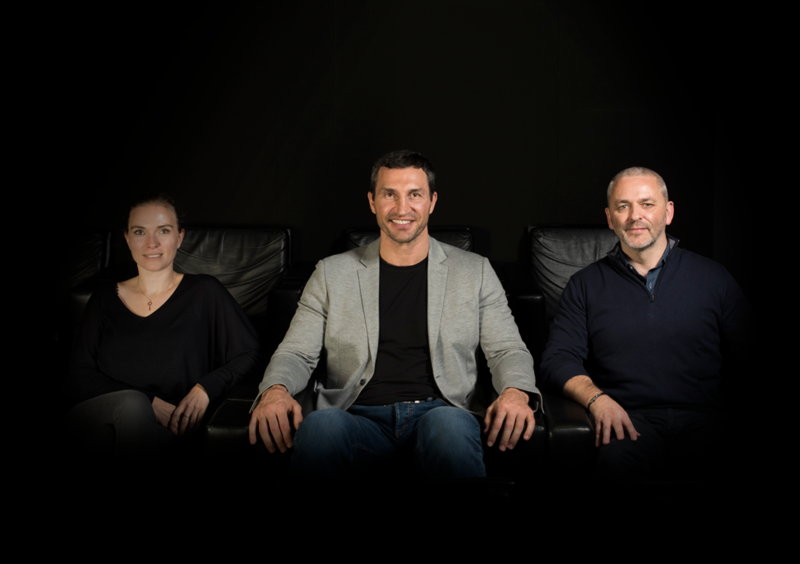 WK – Wladimir Klitschko, TK – Tatjana Kiel, Klitschko Ventures CEO and KF – Karl Fowler, Opus CEO. KF – Wladimir, would you introduce Klitschko Ventures and explain how our collaboration came into existence? WK – First of all, we are grateful for the fruitful introduction by Robert Baker, who led us all together. Over time, I realized that my sports career could not be infinite, so in the later years I worked on the mission of identifying a second career. The major question was – what comes after sports? What is my next possible stage? Klitschko Ventures is the central result of that exploration, and turned out to be the strategic roof. With the CEO of Klitschko Ventures, Tatjana Kiel, whose consistent longterm perspective during my first career and quest for what comes afterwards led us here. We have been collaborating for twelve years now, have been visualizing and working on the topic of a “post-career career” for the last few years. TK – Klitschko Ventures represents the belief in potential, and wants to scale Wladimir Klitschko’s experience in over a quarter of a century in high-performance sport, so that his expertise is accessible to many people – that is our vision. We want to share Wladimir Klitschko’s knowledge, so it empowers others. Karl, how would you describe the vision of Opus. in the most captivating way possible. We want to leave a mark on the world, particularly in connecting in a positive way with our younger audiences, and capture the essence of greatness, not just in the sporting context but in other genres too. How do you at Klitschko Ventures translate your vision into reality. TK – We understand Wladimir Klitschko as an enabler. Our role is to share his knowledge, offering products fostering willpower. We do this through our method (F.A.C.E. the challenge), our workshops, an academically certified executive education course, and through collaborations with partners, all outlining the blueprint of Wladimir’s success. Wladimir Klitschko’s initiation and new book publication of ‘Challenge Management’ is actually a rather unorthodox way of starting his second career. Our executive education course has demonstrated that the method works exceptionally well and has given us excellent practical example for our content. Our aim here is to put the impact it can have each individual’s life in the foreground (and therefore also on organizations), define Wladimir Klitschko’s path towards developing Challenge Management and to put the idea out there and give it a stage. we are proud to say that we are finalizing our F.A.C.E. method.azAll of our endeavors aim to enable people to be the driving force of their life, develop their willpower, and live up to their potential – because we believe that willpower is the strongest force in (business) life. I would say that our fascination with potential unites both of our ventures, so that is one core value we definitely have in common. Which other values would you define as central to Opus. both believe in high levels of integrity of the content and inspiration throughout the ‘message’, indeed Wladimir’s ‘Challenge Management’ set of principles is for me a perfect testament to exactly that and one of the projects that really excites all of here at Opus. Overall, our aim for impact aligns perfectly. We value that commonality very much – and we value working with Klitschko Ventures because of these common shares values and in the highest standards of integrity and indeed creativity that Klitschko Ventures presents. TK – That is a compliment I can honestly return most emphatically – it has been wonderful working with Opus, because we think in the same scale and dimensions, and truly want to create the biggest impact possible. Karl, do you remember in which situation we first discovered how our values aligned and figured that a cooperation would make perfect sense. KF – I do indeed. Obviously the possibility of documenting and telling Wladimir’s story, in fact the complete Klitschko story is one that really excites us and for all the reasons that we have discussed. It is such an inspirational story and one that we would love to bring in our unique Opus fashion to the world on the scale that work with. However, the more we got to learn about ‘Challenge Management’ and the positive effect of this, it seemed to me that there was huge potential in collaborating together in a more varied and diverse way and over more than one publication or project. That genuine sense of longevity of a collaboration with Klitschko Ventures is really exciting. WK – Thank you Karl, we really look forward in starting our corporation.